In 2000, Bill Clinton’s Vice-President, Al Gore, ran against a Republican, George W. Bush. In a stunning turn of events, the Election was unable to declare a decisive victory. In Florida, the vote was so close that the Democrats demanded a recount. With Florida unable to determine who won, the state began recounting the votes. Democrats demanded a recount by hand. The Republicans sued to prevent the recount method the Democrats wanted. The deadlock went to the Supreme Court. In Bush v. Gore, the Supreme Court ruled there would not be another recount in Florida. Bush was ahead by just over 500 votes in Florida and he won the election. Al Gore won over 500,000 more popular votes than Bush, but Bush won Florida and, thus, the Electoral College. Following the traditional Republican economic model of trickledown economics, Bush supported lowering taxes. Over one trillion dollars of taxes were cut in his economic budget. Many Democrats argued this would damage the economy by reducing funding for social programs. Republicans argued it would help the economy by giving more funds to consumers. Bush also pursued his No Child Left Behind education plan. This plan connected school performance with federal funding and penalized failing schools. 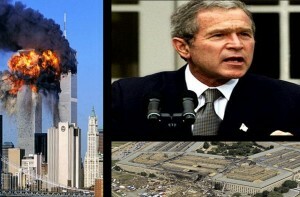 On 9/11/2001, evil terrorists, under the leadership of Osama Bin Laden, hijacked four airplanes. The hijackers initiated suicide attacks against the World Trade Center Twin Towers, the Pentagon, and another plane crashed in Pennsylvania as the passengers tried to fight back against the terrorists. The wicked attacks killed nearly 3,000 innocent people from all walks of life. The Taliban, another extremist group, that controlled Afghanistan, allowed Osama Bin Laden’s Al-Qaeda group to train terrorists in their nation. George W. Bush asserted that those who harbored terrorists would be held accountable along with the terrorists. The Taliban refused to give up Al-Qaeda and the USA invaded Afghanistan and began Operation Enduring Freedom. The USA dismantled the Taliban and captured several leaders in Al-Qaeda. Yet, Bush’s administration did not capture Bin Laden. Prior to this era, the USA’s military was focused on the threat of Communism in the Cold War. This was the focus of the Vietnam War and other conflicts. 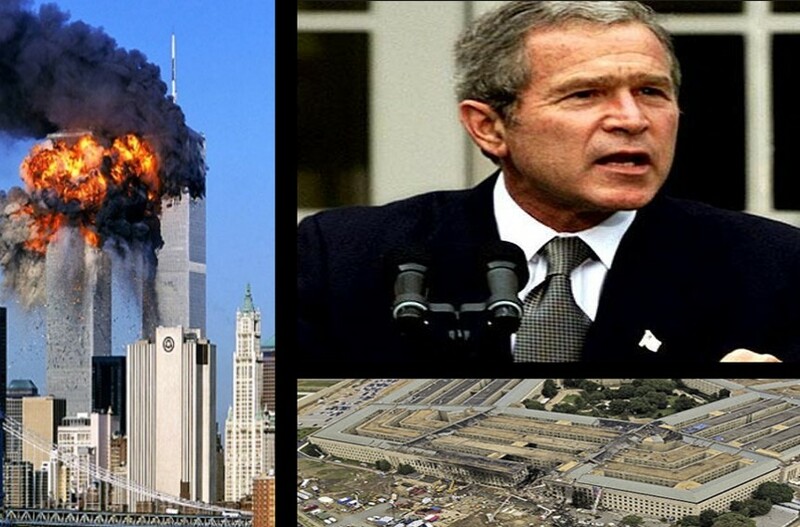 The USA refocused its military to be primarily engaged against extremists groups like those who attacked on 9/11. The Patriot Act gave more power to the government to pursue suspected terrorists and the Department of Homeland Security helped coordinate the federal government and local governments to provide protection against terrorism. As the concern toward terrorism grew, President George W. Bush asserted that Saddam Hussein’s nation of Iraq must allow United Nations inspectors in to determine if Iraq had Weapons of Mass Destruction. Remember, Saddam and Bin Laden were NOT allies. Bin Laden wanted to fight Saddam in the first Gulf War. Yet, each leader faced off against the USA’s government, since both Saddam and Bin Laden had the capability to support terrorism around the world. When Saddam refused to allow the UN to continue their investigation, the USA invaded in Operation Iraqi Freedom. Saddam’s regime quickly fell and, eventually, Saddam was captured and executed. George W. Bush defeated his challenger, a Democrat, John Kerry, in 2004. Yet, the Iraq war persisted as did the conflict in Afghanistan. Iraq created a very unstable Democracy. Infighting between various religious and ethnic groups, such as the Sunnis, Shi’ites, and Kurds, kept this Democracy from flourishing. By 2008, reports surfaced that there were no WMD’s in Iraq or connections to terrorism. 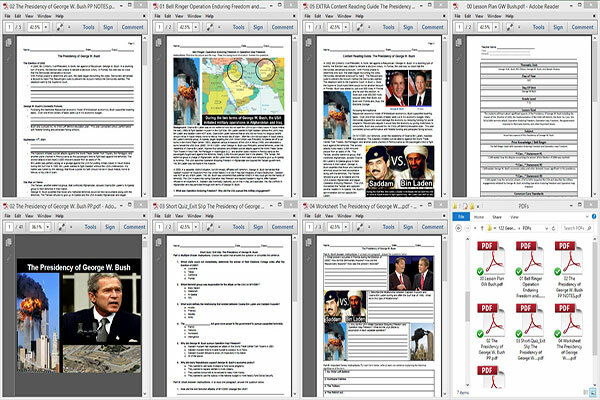 Bush stressed he had to go off the data from 2003, which asserted there were WMD’s. This caused many to critique the war in Iraq. Others critiqued the conflicts in Iraq and Afghanistan for persisting for many years beyond their initial invasions. Originally, in August of 2005, Hurricane Katrina went through New Orleans and everything seemed fine. Then, the levees surrounding New Orleans failed. Massive flooding occurred covering over 80% of New Orleans. The catastrophe left many stranded and over 1,500 deaths in Louisiana alone. Many were upset that the government response did not occur quickly or efficiently enough to help more. Many blamed George W. Bush and the federal government for what they claimed was a slow, inadequate rescue response. The critiques toward the government response to Katrina and a struggling economy negatively impacted Bush’s approval rating in his last term as President. Starting in 2008, America took an economic downturn with the stock market plunging, gas prices rising, big businesses needing government bailouts, and many unemployed Americans losing their homes. While Bush served two terms as President, the Republican candidate, John McCain and his Vice Presidential nominee, Sarah Palin, lost to Democrat Barack Obama and his Vice Presidential Nominee, Joe Biden, in the Election of 2008.